Cut cheese into 3/4-inch (2 cm) cubes. Place cheese cubes in bowl and add sun-dried tomatoes, onions and parsley. Mix together oil and peppers. Pour into bowl and toss to coat. 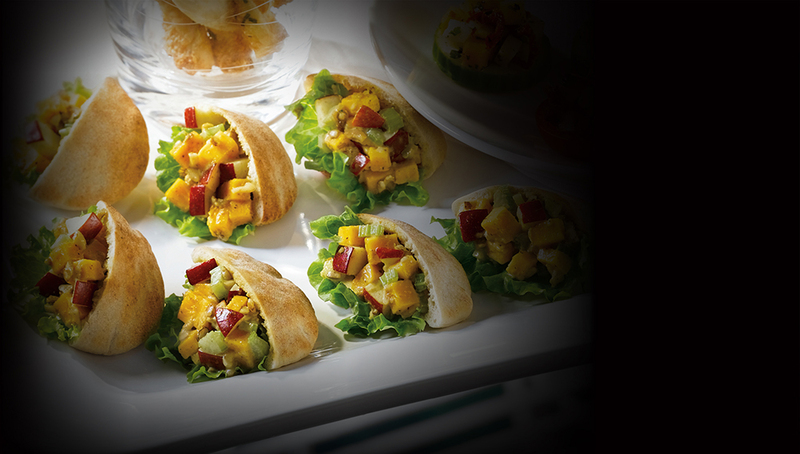 Cut mini pita pockets in half. Tuck small piece of Arugula into each pocket.